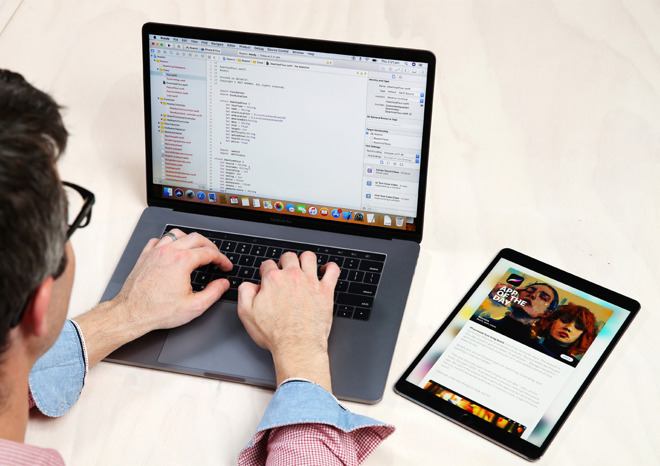 Apple on Wednesday announced that its Everyone Can Code initiative is expanding to more than 20 colleges and universities beyond U.S. borders, allowing students to pursue the company's App Development With Swift curriculum in a full-year course. Some of the participating schools include RMIT University in Australia, Mercantec in Denmark, Hogeschool van Arnhem en Nijmegen in the Netherlands, the Unitec Institute of Technology in New Zealand, and Plymouth University in the U.K. At RMIT, App Development With Swift will be available later this month through RMIT Online as well as an on-campus vocational course. RMIT is also offering scholarships to teachers wanting to learn coding, and a free summer school course at the institution's City campus. Over 30 U.S. community colleges are offering App Development With Swift, including the likes of Austin Community College and Northeast Mississippi Community College. Some high schools are running the course as well. The material was designed by Apple engineers in tandem with educators, and is presumably meant to entrench Swift as a platform. Though it can be used on Linux, Swift is mostly Apple-centric, meant to build apps for macOS, iOS, watchOS, and tvOS.